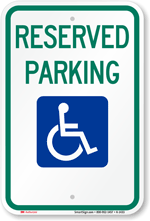 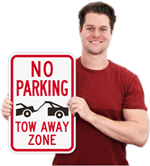 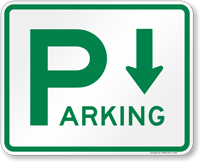 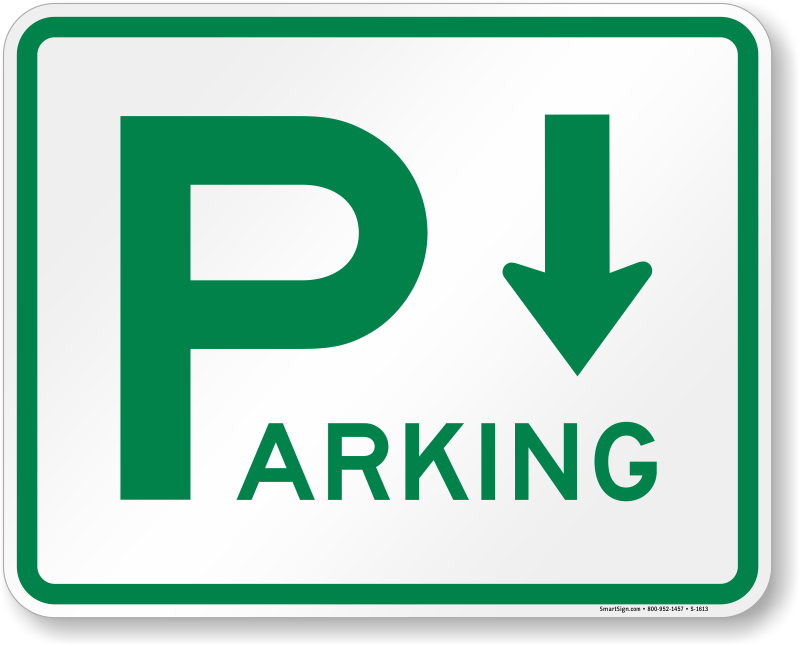 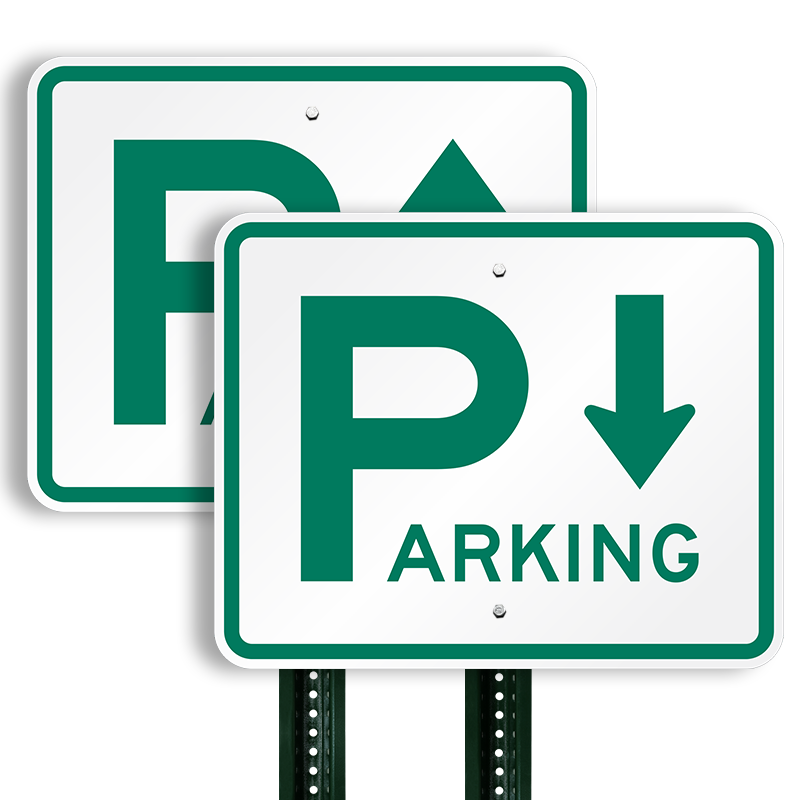 A directional parking sign organizes traffic, looks great, and lasts for years. 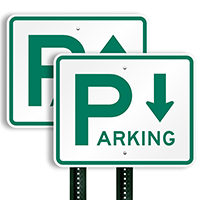 3M engineer grade reflective films offer enhanced durability and visibility. 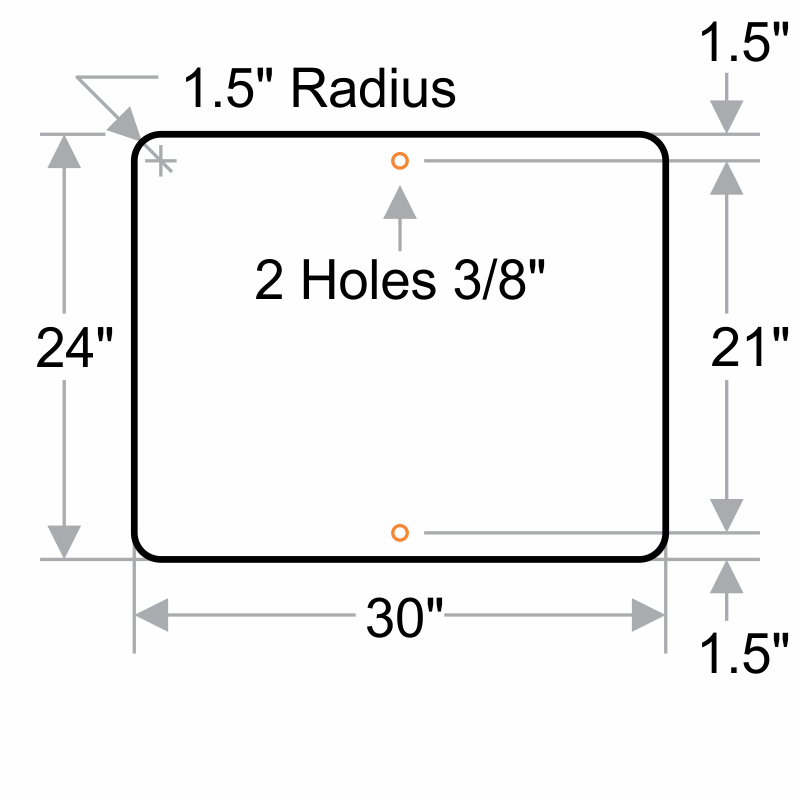 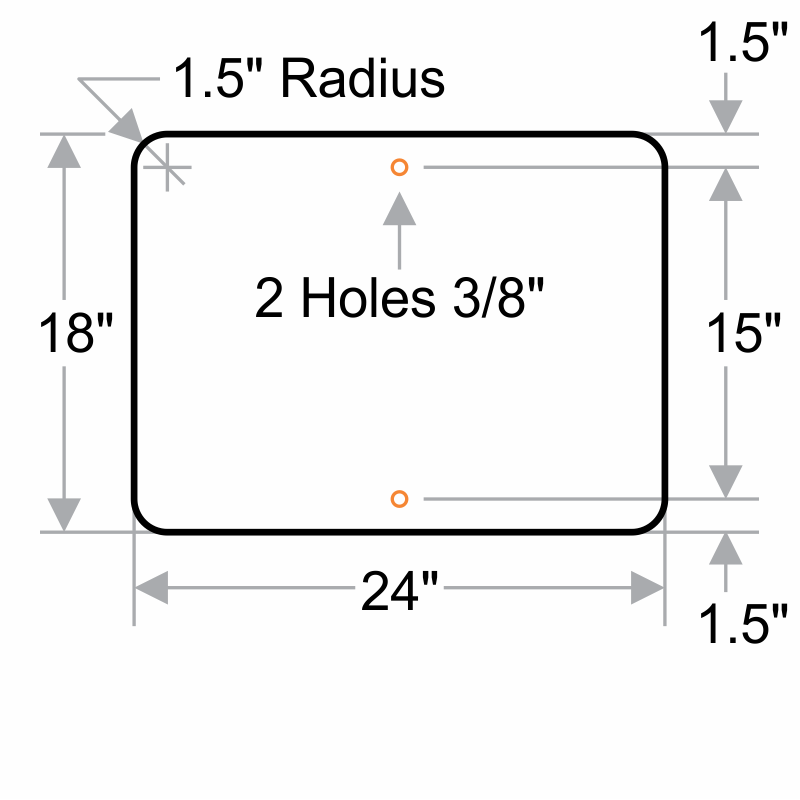 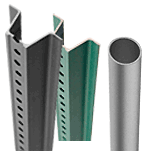 Includes mounting holes for fast installation.